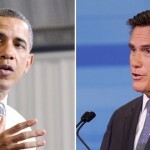 You might not be on a national stage like Mitt Romney and President Obama, but you can take some cues from the pros. Here’s how to win even the most casual debate. Gather your thoughts before you deliver the zinger. Remember the non-verbal components of a debate. Be self-deprecating (but never be dumb). Turn a perceived weakness into a memorable strength.